Transit Components is a world class electronic component manufacturers sales representative and supply chain partner. With a synergistic approach to manufacturer representation, Transit Components Inc. provides world class technical sales and consulting services that are focused on the introduction, positioning and design-in of technology components. Transit Components Inc. is an electronic component manufacturers sales representative and supply chain partner with an uncompromising commitment to service and support excellence. Our OEM customers and business partners recognize us as trusted advisers who deliver quality work with consistent results in a timely manner. With a global perspective we bring passion, speed and proven expertise to all that we do. Our technical sales engineers are dedicated to providing increased sales activities and focused account development. We understand the newest technology trends from our manufacturers and leverage product line synergies to create new opportunities. We are a progressive world class electronic component manufacturers sales representative and supply chain partner. The world is a big place, our specialized local market knowledge and consultative selling approach drives our customer design activity. Our business partners recognize us as trusted advisors who provide enhanced market intelligence, established business relationships and technical product expertise. Our highly technical and seasoned sales engineering team (MBA, P.Eng, EE, CET) bring passion, speed and proven results. Our local sales engineers ensure access and influence at all the key customers. Click on any of the manufacturers links listed below for expanded information about their product offerings. The Samsung inside Samsung. Established in 1973, Samsung Electro-Mechanics a leading developer and manufacturer of core electronic components. Digital Module Products Division – Wireless connectivity solutions including RF Modules for Wireless LAN, NFC, ZigBee, Wi-Fi and Cellular FEM; Vibration and spindle motor solutions for haptic feedback including Coin Motor, Linear Motor and Piezo Actuators; Wireless Power Transfer solutions – developing wireless charging products for WPC, PMA and A4WP standards using advanced wireless electricity transmission technology. Kingbright is one of Taiwan’s LED pioneers with reach across North America, Europe and Asia. Kingbright’s LED products are found in computers, consumer electronics, automotive, lighting, and many other applications. The Kingbright brand is trusted by customers world-wide as a world-class manufacturer of LEDs. Kingbright offers the most comprehensive LED product line in the industry, which includes SMD LEDs & Displays, High Brightness LEDs, Through-Hole LEDs & Displays, Circuit Board Indicators, and other LED-related products. Established as one of the LCD (Liquid Crystal Display) / LCM (LCD Module) pioneers in the Greater Chinese Economic Area, Goldentek Display Corp. has been focused on the promotion of comprehensive design & manufacturing solutions for the Flat Panel Display (FPD) industry. Goldentek’s core businesses consist of the development, design, manufacturing and distribution of a wide range of TN/STN/FM LCD panels/modules used in a variety of high-value added electronic applications. Providing display solutions to original equipment manufacturers worldwide. Goldentek offers flat panel display technology for numerous applications. 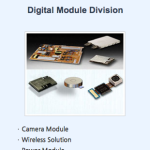 LCD, LCM, TFT and OLED display module technologies, including Character Module, Graphic Module and Custom Design. Tempo Semiconductor combines its extensive IP portfolio in ultra-low power mixed-signal, analog and DSP technology to deliver silicon and software-based solutions that enhance our customer’s end-user audio experience. Tempo semiconductor has a full complement of audio product solutions to cover most conceivable audio needs including I2S Codecs and hubs, Audio Amplifiers, High Definition Audio Codecs and AC97 Codecs. Wherever audio requirements exist, Tempo silicon and software expertise can optimize the end-user experience delivered to the market, from handsets to airplanes and everything in between. Since 1965, Stetron has been a leading provider of Audio components including Loudspeaker Drivers, Dynamic Receivers and Transducers for original equipment manufacturers in the Telecom, Multimedia, Automotive and Industrial Control sectors. Stetron has earned recognition as a quality manufacturer of loudspeaker drivers. In addition to quality, their enhanced ability to provide strong application support during the design phase of a project sets them apart form the competition. Local support includes a complete Anechoic Chamber for advanced acoustic modelling, testing and simulation. Local Audio Specialists and Design Engineers can provide immediate support with computer modelling and advanced Test & Measurement equipment capabilities to support your unique design requirements. One of the original quartz frequency control component manufacturers, established in 1976. 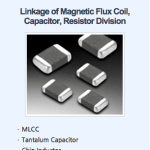 Taitien’s focus products include Crystals, Crystal Oscillators, VCXO and TCXO/VCTCXO. Taitien is the only manufacturer in Taiwan that can provide high performance ultra low noise OCXO and double OCXO devices. TAITIEN is headquartered in Taiwan and has manufacturing sites in United States and China. TAITIEN focuses on innovation and invests heavily in research & development. Taica provides multifunctional material products, such as αGEL®, to fields ranging from industrial, electronic, digital appliances and medical/health care. αGEL® is a trade name collectively used for the soft silicone GEL materials manufactured by Taica. Due to its superior physical and thermal characteristics αGEL® has been applied in various fields including shock absorption, vibration isolation, heat dissipation and tactile impression. Founded in 1990, DEGSON Electronics Co., Ltd is one of the largest manufacturers of terminal blocks and precision moulds in Asia. DEGSON has been granted ISO9001 and ISO14001 management system certifications. DEGSON is the only connector manufacturer in China to have its own UL & VDE certified professional laboratory. The comprehensive product line has more than 1000 products and over 12000 variations or Terminal Block products including Din Rail (PC, MK, WS), Plug-in, PCB Screw, PCB Spring, Feed Through, Barrier, Interface Module and Through-wall. Mechatronics Fan Group has been delivering thermal management solutions to a wide range of applications for over 25 years. Their extensive North American inventory, value-add assembly, technical sales, and design support teams will accelerate your time to market. Mechatronics is a thermal management leader supplying a broad range of standard and custom AC Fans, DC Fans, Blowers, impellers and accessories. Specialist in Battery Design, Manufacture and Distribution; Fedco Batteries™ engineers and manufactures quality batteries and battery packs for new product builds. Additionally Fedco offers an unparalleled outsourced fulfillment service. Infinity™ is the ultimate supply chain platform for OEM’s, their customers and our distributor partners. From simple one-cell batteries to complex multi-cell battery packs, including power and charging systems, Fedco designs and builds customer specific battery solutions. Fedco works with leading battery cell manufacturers to select the ideal battery chemistry to maximize performance and provide a price efficient solution. Chemistries include Lithium Ion, Lithium Polymer, Nickel-Metal Hydride, Nickel-Cadmium, Sealed Lead Acid, Alkaline & Zinc-Carbon, Lithium Primary and Button Cells. Fedco is ISO9001 and ISO13485 certified. Since 1960, Samwha has been a leading manufacturer of Aluminium Electrolytic Capacitors (SMT, Miniature and Large AL E-Cap), Energy Storage Capacitos (Electric Double Layer Capacitor (EDLC)), Power Capacitors, Transformers. Disc Varistors and Disc Ceramic Capacitors. Samwha USA is the sole provider for Samwha Capacitor Group’s products in the America’s. Minicut Precision Engineering Co., Ltd.
Minicut is a China based company that designs, manufactures and distributes precision metal products, serving mainly high tech, hydro power, transportation, medical, commercial and business equipment industries.Minicut provides ODM and OEM manufacturing services. Capabilities include Precision Machining, Sheet Metal Fabrication, Metal Stamping, Hard Tooling, Die-casting, and Plastic Injection Molding, Powder or Wet Coating and Surface Plating. Our facilities are well equipped to provide Mechanical, Electro-Mechanical Assembly Integration and Test services. Minicut provides comprehensive turnkey solutions that includes design support, manufacturing, quality assurance and supply chain management that covers logistics and inventory management. 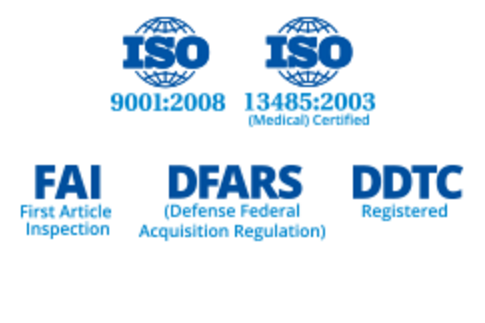 Minicut is ISO9001, TS16949 and ISO13485 certified. We are proud of our team and we work hard to deliver contagious success that exceeds the expectations of our business partners. Richard has over 22 years of sales leadership and operational management experience in the electronic component industry. A results oriented and enthusiastic entrepreneur, Richard started Transit Components in December 2012. His previous experience includes leading a highly successful global sales engineering team with operations in Glasgow, Hong Kong and Toronto. Richard holds a Masters of Business Administration from Queen’s University and a Bachelors of Arts in Economics from Western University. Peter has over 20 years of experience as a manufacturer’s sales representative in leadership roles. Including six years as a Senior Account Manager responsible for the promotion of electronic components to multinational customers in the North America and Asia. Peter spent eight years as an Inside Sales Manager, supporting OEM accounts in America, Europe and Asia and led the set-up of European operations. Peter holds a Bachelor Degree in Electrical Engineering from Ryerson University. As an electronics industry veteran, Ed has over 30 years of experience as a distributor and manufacturers sales representative. Ed has held numerous roles as IP&E Business Manager and Senior OEM Sales Manager. Ed holds a Diploma in Electronics Techniques from Durham College. Nikki has over 20 years of experience in the Canadian electronics industry across Distribution, Sales Representation and as a Manufacturer. Nikki brings a strong technical background and understanding of what it takes to support our customers from design right through to production. Nikki has an established reputation as a sales leader in the Quebec region supporting OEM and ODM accounts. Claude has 33 years of experience in the electronics industry and has held roles in all aspects of electronics including Purchasing Agent, Distribution Sales Rep and a Technical Account Manager for two Manufacturer Representatives for the last 13 years. He brings with him a wealth of knowledge in many aspects of passives and active components and believes firmly in the block diagram approach of selling products to ensure the capture of as much products lines he can. His keen knowledge of the Western Canada territory bring a huge asset. Are you a technical sales professional looking for a new challenge? Do you like problem solving AND technology? Transit Components is a sales driven organization that gets to play with the coolest new technologies from the best manufacturers. Interested in joining our team? Check us out on LinkedIn. We are always ready to help. Please send us a message using the form below or you can email or call us directly. © All rights reserved, Transit Components Inc.